You can measure the biggest park in the world in many different ways. Six Flags Magic Mountain in California has 19 rollercoasters- more than any other park in the world. Dyrehavsbakken, near Copenhagen, Denmark is the world’s oldest. It has been open since 1583. 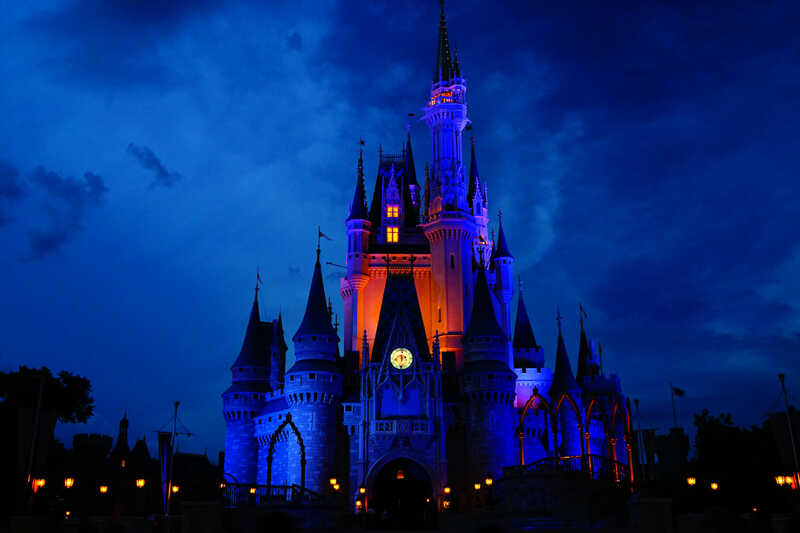 Florida’s Disney Magic Kingdom (at Walt Disney World) is the most visited. It has more than 20 million visitors a year. We decided to give it a twist- we’ve ranked the top six by size, excluding any parks with live animals such as safaris, zoos or aquariums. Because we know that’s what you are really after. Inverted roller coaster: the train runs under the track with the seats attached directly to the wheel carriage. Giga Coaster: A giga coaster is between 300 and 399 feet tall and completes a full circuit. Millennium Force, below, was the first. Dark Ride or Ghost Train: A ride on which passengers ride guided vehicles and travel through specially lit scenes that usually feature animation and other special effects. It’s an Eyrie view onto the lake. Picture: Shutterstock. Cedar Point is 147 hectares. It has been around since 1870- making it the United State’s second oldest still operating park (behind Lake Compound in CT). With a railway going around it and views onto Lake Eyrie it’s one of the more picturesque park options. Occasionally the park also has a ferry service. Blue Streak is a must. Opened in 1964, it’s the park’s oldest ride. A gorgeous, striking, blue, this wooden coaster comes with a whiff of pleasant nostalgia. Wicked Twister, opened in 2002, is the coaster for thrill-seekers; No inverted coaster goes faster. The coaster is 66m tall and travels at speeds of 116kph. Riders will be jostled backwards and forwards constantly. It is deliciously unpleasant. If you want a great giga-coaster look no further than Millennium Force, built in 2000. The first coaster to climb to 91.4m, this 150kph monster has g-forces that will turn your face into putty. You can stay in a hotel. But we recommend you rent a small cottage at Lighthouse Point. The 64 cottages and 92 cabins book out fast. You might be able to pick one up for a night at the low price of $260. Kids will love the swimming pool and the free WiFi is an excellent perk. Caravan and RV spots are also available, with electricity hookups and laundry facilities thrown in. Pink’s Hot Dogs are a must. 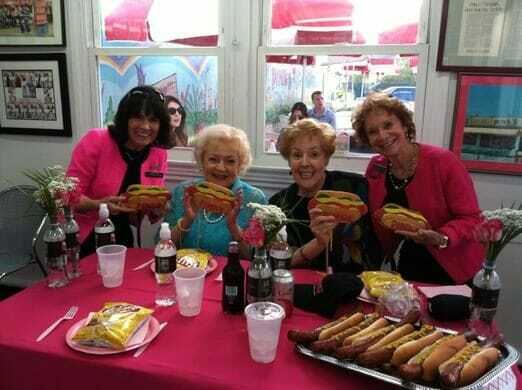 Everyone from Orson Welles to Aretha Franklin and even Katy Perry have chowed down on one of their famous ‘dogs’. The celebrity wall of fame is one of the best around. The bacon chilli cheese dog [$9.30] has a kick like a mule. 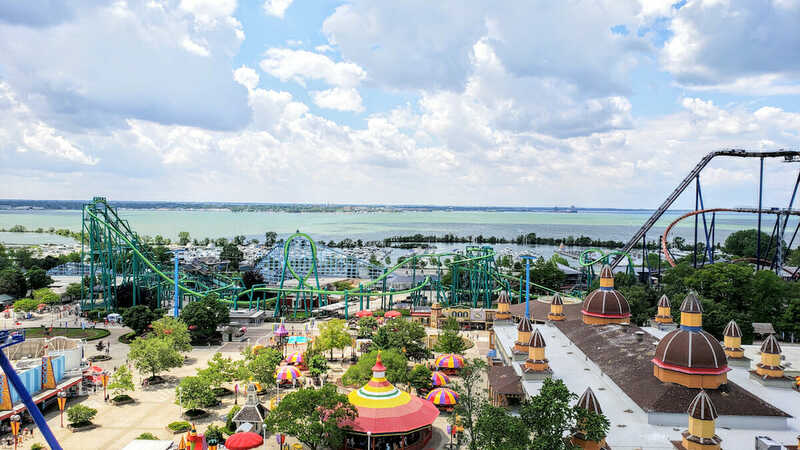 Cedar Point is a little over an hour from Cleveland by car. Toledo, OH, and Detroit, MI are also options. The local town of Sandusky is nearby too, where you can get a train to the park. Flights from Sydney in June start at $1200. Cedar Point has three unique carousels, with 164 animals to ride. 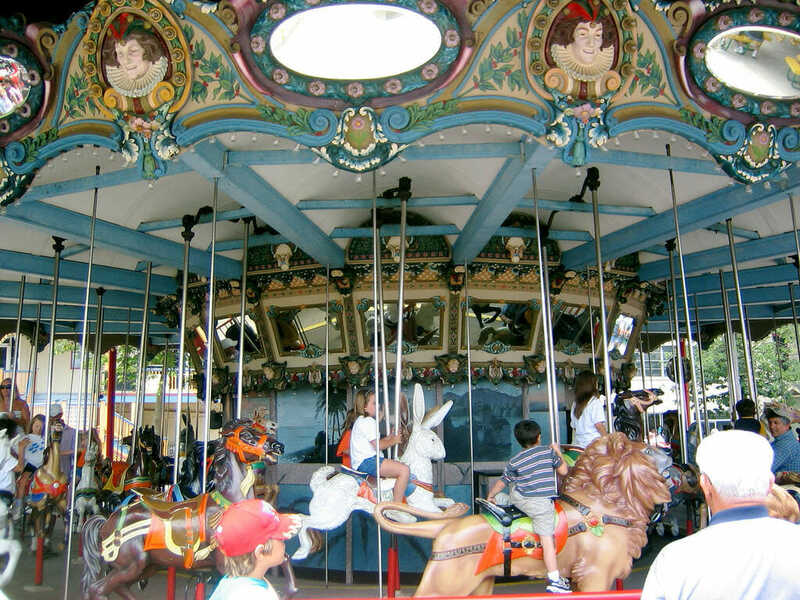 America’s oldest Carousel is 142 years old. Picture: Devin DiMattia/Shutterstock. Get the app on your phone and you can have a Rougarou-themed non-alcoholic drink in the park. The Rougacool is a mix of Strawberry Sprite and Mello Yellow Peach. It’s available at Coca-Cola Freestyle stations throughout the park but only with the app. Ride Tokyo’s terrific train. Picture: Shutterstock. Our first Asian and Disney entrant on the list, Tokyo Disneyland was Disney’s first expansion into the foreign market. It was soon joined by Disney TokyoSea. It’s exactly what you’d expect- a perfect blend of Japanese precision and American culture. The Asian twist on a classic will delight children and give them an easily digestible splash of culture. Pooh’s Hunny Hunt is an absolute must. Exclusive to Tokyo’s Disneyland you can follow along with Pooh’s adventures in a ‘honeypot’ and meet Tigger, Roo and Rabbit. Monsters, Inc. Ride & Go Seek, Tomorrowland is an interactive ride original to Tokyo Disneyland. You ride through Monstropolis suffering a power outage and shine flashlights on monsters throughout the city. The Tokyo Disneyland Hotel has a pirate ship pool. The kids will love it. But at $900 dollars a night for two people you might prefer to stay in Tokyo and get the train in. Tokyo has one of the most efficient metros in the world. Toy Story inspired alien mochi are popular. You can find them at the American Waterfront. Stormtrooper Mochi are the only mochi available at Tokyo Disneyland. You can find them at the Pan Galactic Pizza Port. Great American Waffle Company is an entire restaurant dedicated to waffles. You can douse Mickey’s head in a syrup of your choosing and then enjoy a deliciously fluffy waffle. 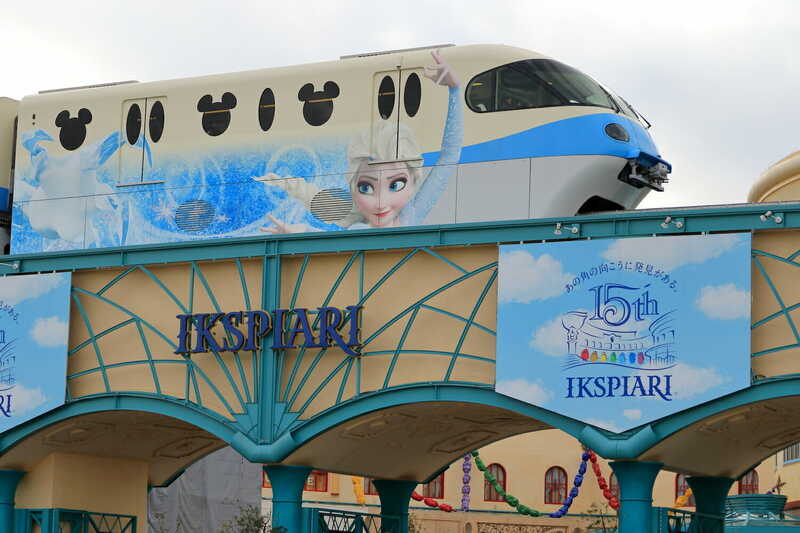 Tokyo Disneyland is 33 minutes by public transport and 35 minutes by car from Toyko, if the traffic is fair. Flights from Australia are frequent. Flights for a family of four, in June 219, range from $510-$580 depending on which city you fly from. The glass canopy above Main Street was errected due to Japan’s climate. The whole area can be heated in winter and cooled in summer. The popcorn stands can have long queues. Picture: Tokyo Disney. From milk chocolate to garlic prawn and all the way to curry, popcorn flavours vary. Popcorn is a serious business and the refills system is excellent but confusing. The map will show you where to find 25 carts featuring 11 flavours. You should also look out for more than a dozen different commemorative popcorn buckets between Tokyo Disneyland and Tokyo DisneySea. The collectable buckets range in price from 1,640 yen to 3,200 yen ($20-40). Refills are 500 yen ($6). Universa’s famous globe continues to delight children. Picture: Shutterstock. Visit Volcano Bay, explore the Hogwarts Express, ride Revenge of the Mummy and meet Marvel’s megastars. Orlando Universal is one of the premier adventure parks in the world. The Simpsons Ride will delight old and young. The jokes are spot-on and you’ll get to hang out with your favourite Simpsons characters. Don’t go after you’ve just eaten – escaping from the clutches of Sideshow Bob is not a very smooth ride. The Hogwarts Express is a pleasant, smooth family-friendly ride which everybody will love. You can expect a few surprises along the way of course but it’s well worth going there and back. You should also try the Escape from Gringotts ride. It combines coaster and storyline beautifully, with a hint of dark ride too. Read more about Harry Potter World here. This is the largest one in the world. Revenge of the mummy was designed to mix a haunted house with a roller coaster in a dark ride setting. The ride has no drops and it won’t turn your stomach but the ride through Imhotep’s tomb is absolutely thrilling. With thousands of options, it becomes a matter of personal choice. Will you choose Loews Pacific Resort with its’ gorgeous pools? Or is the eclectic and cool Hard Rock Hotel your scene? It has great dining and a collection of awesome spas. The Orlando Continental, with rooms starting from just $50 per person per night is a great choice for the budget traveller. The cheaper price tag doesn’t mean cutting back on perks; it has a pool and is friendly to those travelling with disabilities. Try Homer Simpson’s favourite donuts. Picture: Shutterstock. Butterbeer Ice Cream ($7.50) is magical. Inspired, of course, by Harry Potter, the ice cream is a new twist on a classic. Lard Lad Donuts. Inspired by The Simpsons, the Park sells 50 dozen of these a day. You could make it 51 dozen. You know you want to. A 4-Pack of D’oh-nuts will cost $13.60. Burgushi from The Cowfish. Yes, they stuck sushi on a burger and yes, you have to go try it now. The $25 Fusion Specialty Bento Box is perfect for sharing. 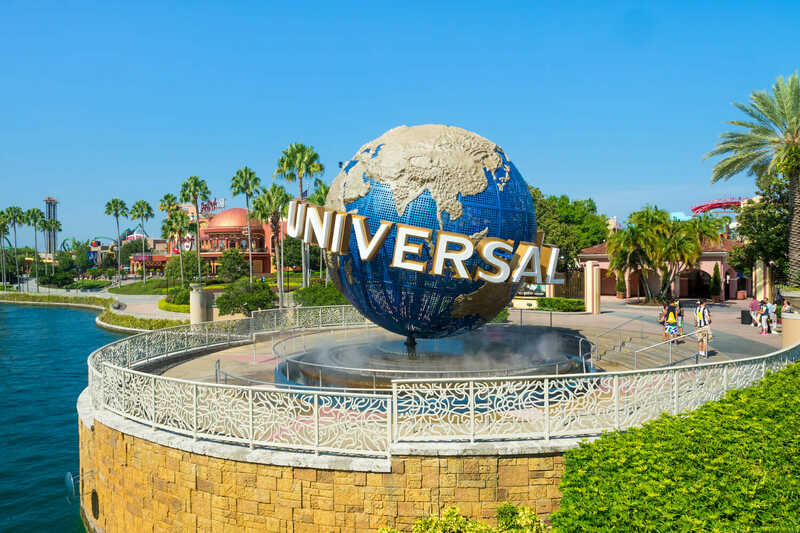 Universal Studios Orlando is a 20-minute drive from Orlando (MCO) airport or the city. Flights from Australia to Orlando are around $1100 to $1600 per person from Sydney, Melbourne or Brisbane. Flights generally transfer in LA. However you can also fly via Dallas Fort Worth on Qantas, Houston (United) or Vancouver (Air Canada). Behind Mythos Restaurant is a bridge. If you stand right on top of it you can hear the groans of a troll. Find the media centre on the walk between Transformers and Springfield USA. It houses the marketing department who run surveys occasionally. They usually offer gift cards for your opinion. Shanghai leaves no expense spared. picture: Shutterstock. The world’s third most populated city is in at third on our list too. It opened in 2016, making it Disney’s newest park. TRON Lightcycle Power Run is completely different. It uses motorbike seats to make you feel like you’re riding a motorbike through the air. Delightfully disconcerting, kids will want to ride it again and again. Soaring Over the Horizon is a family friendly ride. It simulates flight using a 24m, 180-degree laser screen. You can figuratively fly over the Great Wall of China. The Seven Dwarfs Mine Train does what it says on the tin. Recreating the opening scene from the 1937 classic you ride on wooden tracks into a diamond mine. You can go budget; the average price of Hua’s Cottage is $61 per guest per night and it is only 2km from the park. It comes with a free car park and complimentary WiFi. The Chocolate Slipper will go straight onto your Instagram. 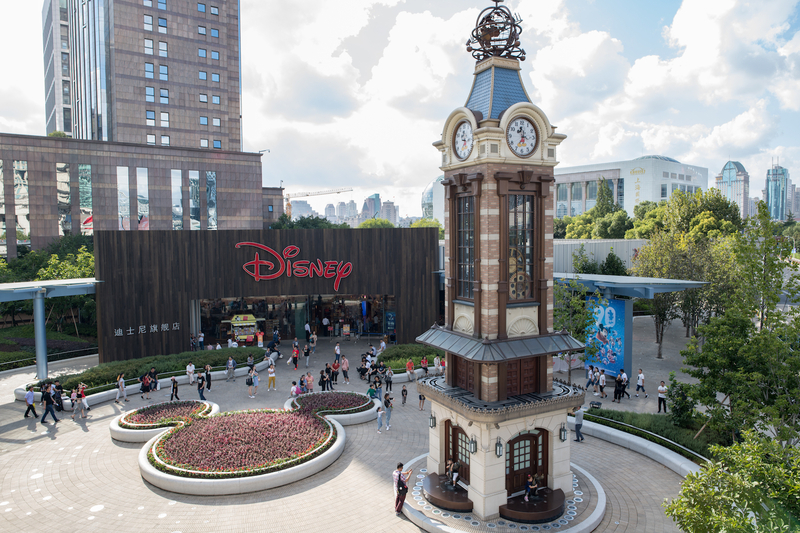 Picture: Shanghai Disney Resort. The Olaf Cupcakes, based on the Snowman from Frozen, look too cute to eat but they are delicious. You can find them at the bakeries, at $7.50 a pop. 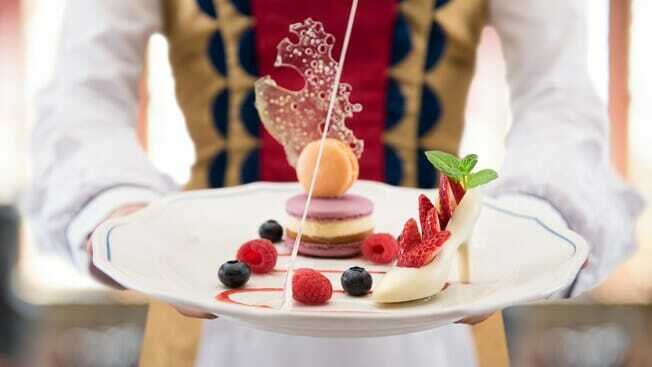 Cinderella’s chocolate shoe comes to you filled with fruit and with two macaroons on the side. You can try it on for size at the Royal Banquet Hall. A 45-minute drive from the airport or an hour and a half on Shanghai’s excellent transport network. It’s easy to find the right stop- it’s called Disney. Shanghai has one big advantage for Aussies. It is relatively easy to get to. Flights, usually under $400, run all the time from Sydney and Melbourne. Even better, they’re usually non-stop. The Tiger: Tigger from Winnie The Pooh. The Rabbit: Thumper from Bambi. The Dragon: Mushu from Mulan. The Snake: Kaa from The Jungle Book. The Horse: Maximus from Tangled. The Sheep: Jolly Holiday Lambs from Mary Poppins. The Monkey: Abu from Aladdin. The Rooster: Allan-A-Dale from Robin Hood. The Dog: Pluto from various Disney shorts. The Pig: Hamm from the Toy Story films. Make sure you know when China’s holidays are. If you go on the wrong day, particularly in January, you will struggle to get on any rides. Minnie in front of the Eiffel Tower. Picture: Shutterstock. Europe’s only entry on the list is large on size but lower on attendance. It is part of an enormous state, one well in excess of 2000 HA, but only half has been developed. Tower of Terror- will you survive your stay? This ride includes a free fall or two so it really is not for those of a nervous disposition. It gets extra points for excellent use of cobwebs. Crush’s Coaster is based on the popular turtle character from Find Nemo. It has none of the turtle’s ‘chillaxed’ attitude, however. All of Paris is on your doorstep. Why not stay in the world’s oldest grand hotel? Called the Hotel D’Louvre, you’ll never guess what Paris landmark it’s next door to. You can expect to pay more than $1500 a night to stay there. While there enjoy some of the world’s prettiest walks and best food. Try the Cowboy Cookout barbecue for a USA-style feast. Or Annette’s dinner for 1950’s style hospitality. Paris Disneyland is only 45 minutes on Paris’ famously reliable metro from the city. On the TGV it is 15 minutes from the CGD airport. You’ll be there before you can spell ratatouille. If you book early enough in advance, a family of four can fly to Paris from Sydney, Brisbane or Melbourne from under $900 in June 2019. Paris Disneyland is the most visited park in Europe, and is resposnible more than 6 per cent of France’s tourism. If you can, use your ‘Baby Switch’ priority. If you have un enfant, ask for a ‘Baby Switch’ card at the entrance. This will allow one of the two adults to queue up, while the other looks after the baby. Once the ride’s done, the other parent can use the card to re-visit the attraction, without having to queue. It can come as no surprise. The Walt Disney world resort is 40 square miles. Thats the size of San Francisco. 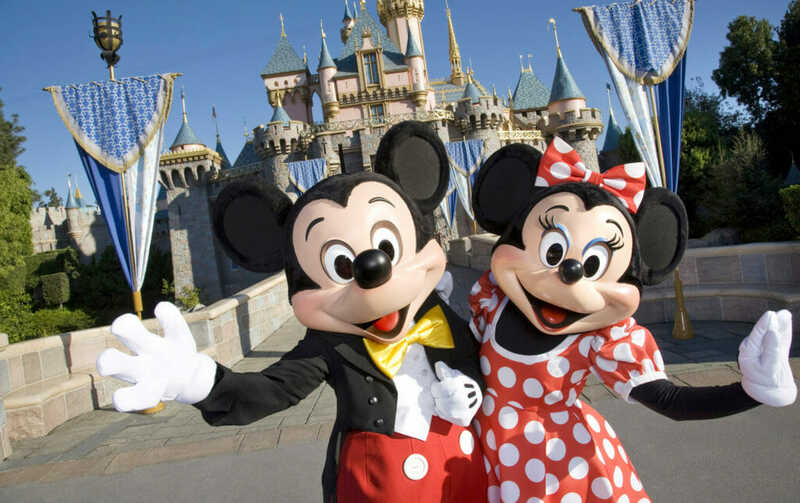 Disney World is actually four individual theme parks – Magic Kingdom, Hollywood Studios, Animal Kingdom and Epcot. It has two water parks Typhoon Lagoon and Blizzard Beach and it’s own shopping mall – Disney Springs. This place is so large that it has it’s own bus network and the largest car park in the world. Here’s the rundown of what you should see. 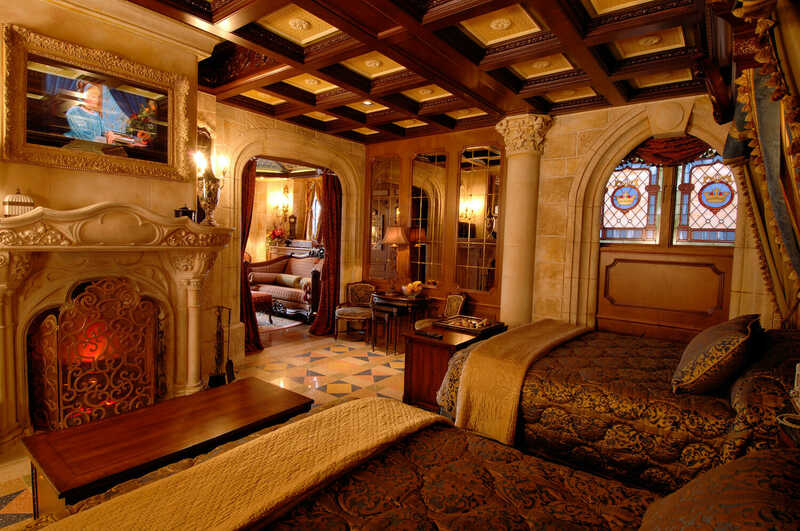 The best hotel suite in the whole place is tucked away in Cinderella’s Castle. It can sleep up to six and has flat-screen TVs disguised as magic mirrors. Unfortunately, you can’t just make a reservation—overnight guests are winners that are chosen at random by the park each day. Our favourite hotel is Animal Kingdom Lodge. This place has huge rooms for families, and it is part of Animal Kingdom’s safari Park – so you can wake up and see giraffes and zebras outside your room. 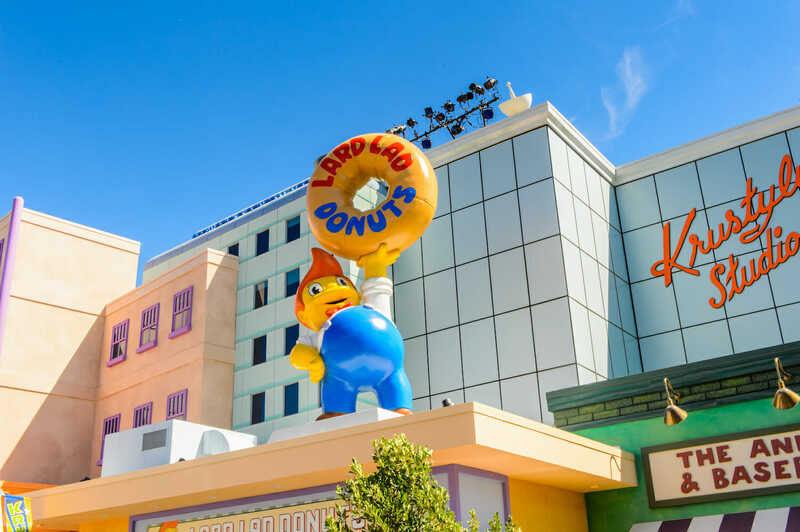 Budget-friendly options include – the Art of Animation hotel, Pop Century and All-Star Sports hotels. Les Halles Boulangerie and Patisserie in EPCOT is the place to go for fantastic French food. Kids will love the strawberry pastries. Be Our Guest Restaurant at Fantasyland. Will you be Beauty or the Beast? Your princess will love being served by Belle. Families coming from Australia will fly into Orlando Airport. If you have booked a Disney Hotel you can catch the free Disney Magical Express to your hotel. Disney World employs more than 70,000 people, making it the largest single-site employer in the country. Try the Dole Whip at Disney World. This wonderful combination of pineapple and ice is super refreshing on a hot day. And adults can get a cheeky splash of coconut rum.